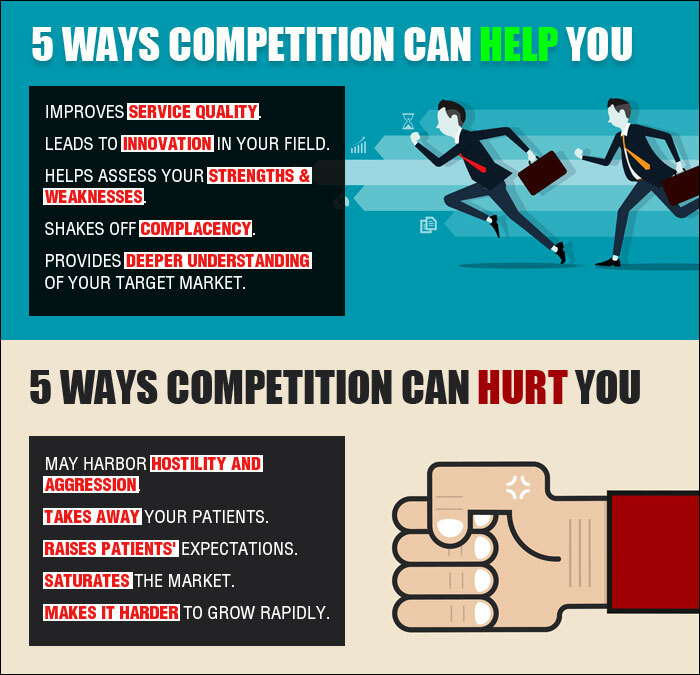 As a healthcare marketer, it is inevitable that you will have competition. However, competition can be healthy and make you a better practitioner than you already are. You must allow the prospect of competition to inspire you rather than derail you by accepting the fact that while you cannot control what your competitors do, you can minimize their impact on your growth and bottom line. Whether you like it or not, there will always be plenty of medical practitioners, just like you, pitching for the same target audience as yours and fighting to survive. In today’s cutthroat markets, small practices and bigger hospitals are battling to stay afloat like never before. With such fierce competition, how do you beat your competition? How do you get noticed for good reasons and ensure you are winning with patients? There are many ways to beat your competition. From focusing on patient service to making the most of search engines, there are lots of tools and tricks. The fact is, patients do not really understand, or care, about what differentiates two medical practices. In their eyes, it is all the same. This, in part, is why a lot of medical practices are struggling. These practices were set up several years ago and have seen business dwindle over the years. Some of these practices blame the Internet. The only factor they are not blaming is their own attitude. The biggest reason why so many practices are struggling is because patients are choosing them only based on price. And if they do not have the lowest prices in town, they lose. On the flip side, if they do have the lowest prices, they begin to have a lot of other issues, including low profit margins, staff attrition and lack of growth. The problem is that these practice owners have not given potential patients a reason to choose them for reasons other than price. It is important to give your target customers a reason to choose you over your competition. If you have viable, real and tangible reasons to tell and show to your target customers why they should choose your practice, then you do not have to compete on price. And if you are not competing on price, you will eventually have healthy profit margins and a thriving practice. 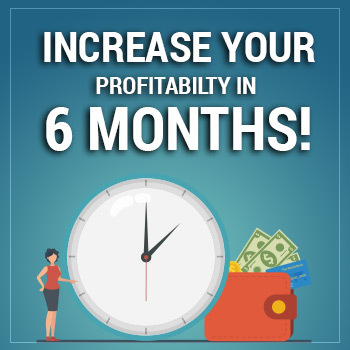 Healthy profit margins will allow your practice to grow and reach business goals. 1. Be the undisputed leader in your market. A lot of practices are trying to be everything for everyone. This does not work unless you are a big hospital or medical facility. In fact, the bigger hospitals are playing the numbers game. They see thousands of patients every month with razor-thin margins. This works for them because they are able to sell huge volumes of patients across a number of specialties. There is, however, one critical thing that they cannot do but you can: Be the go-to expert in your area of specialty. In order to compete with the big practices, you have to do what they cannot. What is the one area that you can be good at? Is your service the best? Is your staff the most trained and dedicated? Do you have the best treatment options available? Do you have a unique facility that your competitors do not have? You need to be trusted for something – to be known for a service or facility. 2. Provide value on things other than price. Not only should you provide value to your target customers, but you should also provide value on factors other than price. You have to assume that your competitors are competing on price. And because almost every medical practice in your area is touting price, it is not a good value proposition. Unless your competitors cannot compete on price and you can, this would be an unbeatable value proposition. However, it is critical to remember that engaging in a price war is a race to the bottom. The one who wins will certainly be the one who can afford to go the lowest. Unless you have a money tree, this is not a good strategy. So, how do you compete? By providing value on something other than price. Now, what is “value”? Value is anything that makes your target customer feel as if he or she has made a good decision by visiting your practice. The keyword here is “feel” because most people make decisions based on emotions. So, how can you ensure that your patients will feel good coming to your practice? Well, by offering them something of value that is unique to your market or specialty. 3. Make them trust your staff and service. Especially when it comes to healthcare, people prefer practices or providers they know, like and trust. 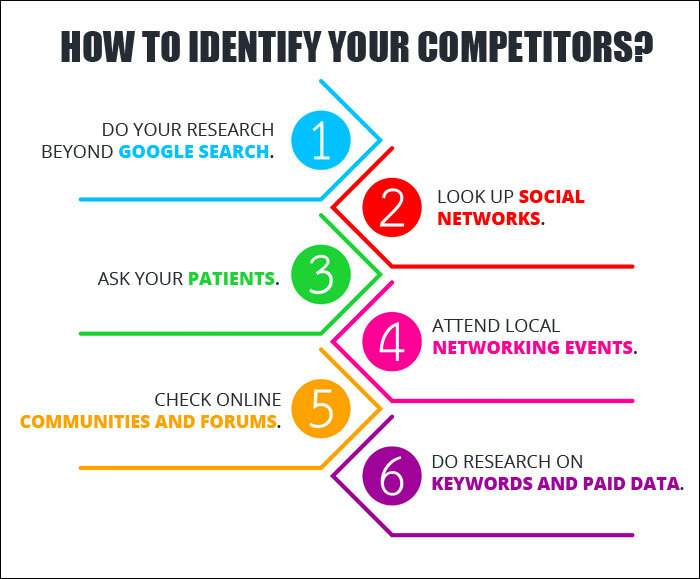 What are some ways that your patients can know, like and trust you more than your competitors? How can you evoke positive emotions in your patients’ experience? Patients are careful to spend their dollars wisely and are scrutinizing each provider to make sure they are making an “informed” decision. They want to go to providers they trust and believe in. Recommendations from family and friends, including positive online reviews, can have the greatest influence on building your patients’ trust and confidence in your practice. So include testimonials and reviews on your website that helps patients understand why they should believe in your practice and trust your service. Private medical practices have many marketing challenges, but one of the hardest things healthcare marketers need to do is determine what makes their practice stand out from the competition. It is essential to present your service in a way that attracts your ideal customer. Being able to differentiate your practice by communicating your unique features that your competition does not have is essential to attracting your ideal patient. When someone asks you what makes your practice different from your competition, do you answer the question confidently, telling him or her why you are the best at serving your patients? Are you able to describe that unique thing that makes your practice their ideal choice? When you differentiate your practice, you make it memorable and trustworthy. It helps your potential patients understand the value you add to their lives and what sets you apart from your competitors. The secret to creating your unique selling proposition (USP) is understanding what your ideal patient wants and making sure you deliver it far better than competitors. However, this exercise takes a lot of effort, brainstorming and sometimes trial and error to see what works and what does not. Sometimes we are too close to our practice and patients to see that differentiating factor that makes us stand out. In addition, your unique features may continue to evolve as your practice thrives. 1. Focus on Your Target Market: By specializing in a specific market or area, you can focus on services that uniquely benefit your target customers. Being the best in the market to provide a solution to their health problems will enable you to maximize revenue and build stronger relationships. 2. Interact With Your Patients: Getting to know your patients will enable you to more effectively meet, and even exceed, their needs. You can use social networks, emails and phone calls to find out more about your patients and their experience with your brand. Interacting is about getting to know them and telling them all about your staff and service. Exchange ideas, listen to their experiences and be open to criticism. 3. Provide Unmatched Patient Service: Aim to create the best experience for your patients. From the first call to your office through the final consultation, make sure your patients are treated as if they were the lifeblood of your practice. 4. Reduce Waiting Time: For some patients, time is of utmost importance. This kind of patient does not like to wait. Speed is one of the most effective ways to outdo your competition. If you can provide the same service in less time, there will be a segment of customers who will be specifically interested in your practice. If you can deliver quicker than your competition, you will be able to carve a niche for yourself. 5. Address Patients’ Problems: Find out what problems your patients face and be the best at resolving them. Make your solutions unique, solve their problems faster and reap benefits in the form of increased patient volume. 6. Be Innovative: You must aim to continuously improve your patient service processes in order to deliver the best results to your patients. If your products or services are the same as your competitors, then make them better or faster. 7. Introduce Attractive Offers: You must be creative with your discount packages and add so much value to your service that your target customers find it hard to say no. If you are offering health checkups, give people a free checkup or a free consultation. If you are offering memberships, offer one month free with six months’ membership. 8. Build a Reputation: Whatever service you are providing, make sure it is the best quality for the price you are asking. This is a certain rule. Build the best reputation as the expert in your specialty through online reviews, blog posts, e-Books, videos content and other informational content. People prefer experts to help them solve their healthcare problems. 9. Make Your Schedule Flexible: Make it easy to schedule an appointment with you. Work on your processes to make it easy to get in touch with you. Your patients must have a way to reach out to you in case of an emergency. Do whatever it takes to make doing business with you quick and convenient. Remember, convenience is a powerful trigger. You must use it to your advantage over your competitors. 10. Don’t Ignore Your Marketing: Usually, when the going gets tough, most healthcare marketers cut back on their marketing budgets. But this is the worst thing to do. It is so important to always stay top-of-mind with your potential patients. Make sure you invest and focus on marketing your practice every single day, even if it means you have to do it yourself. The best way to use these 10 tips is to combine them so that their strengths reinforce one another, create a synergistic effect and give you a competitive advantage. You can build an excellent reputation for good quality, fast delivery and superb customer service. Patients will love you for your prices and the convenience you provide. Above all, always remember that patients are the lifeline of your business. They can make or break your practice. It all depends on the way you serve them and the way you make them feel. In addition, while patients are dominant, they are highly vulnerable to emotion and logic. Understanding the power of these two forces and knowing how to use them strategically will help grow your medical practice and keep your patients coming back.